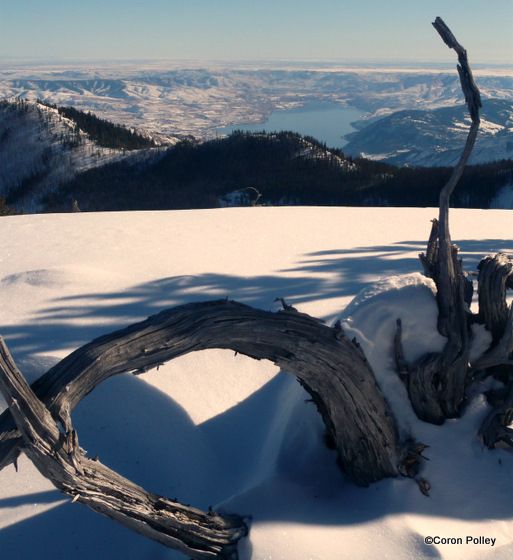 “Lake Chelan will be the next Sun Valley,” or so they were saying in the 1960’s and 70’s when a group of Chelan and Wenatchee promoters were attempting to build a ski area on Stormy Mountain. 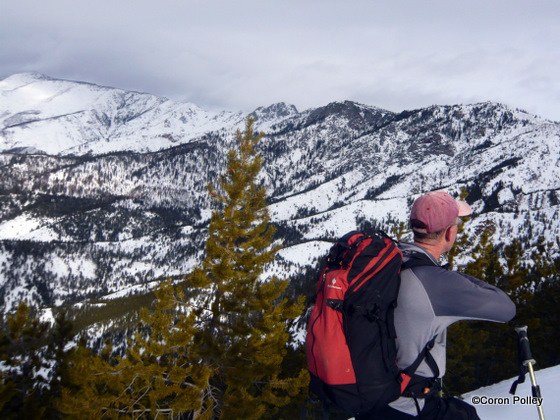 The summit of Stormy Mountain lies just 15 miles west of downtown Chelan. Photo: Lake Chelan below Washington’s Sun Valley. The Lake Chelan Museum has a plaster model of the proposed Stormy Mountain Ski Area. The model shows chairlifts encompassing three drainages. Lifts are drawn to the top of several sub summits and to the flat crown of Stormy Mountain. Also on display in the museum are early 1970’s color photographs of skiers descending the steep glades off of the summit. In 1969 my mother and father bought a couple shares of stock in Stormy Mountain Inc. 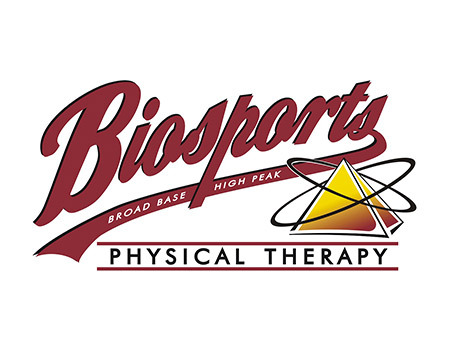 The offering raised around $50,000 from area investors and ski enthusiasts. Today, my parents still have the worthless stock certificates and their sons have an area to ski. 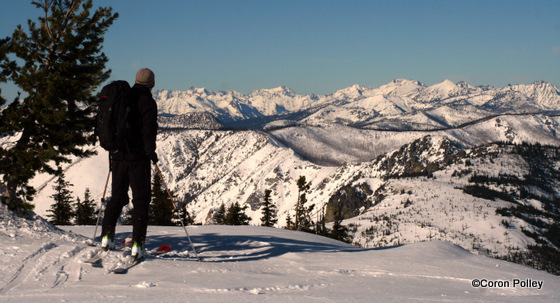 The topic of whether Chelan needs a ski area is sure to bring up polarized debate on both sides of the issue. Recently the Black Dog Frame Shop in Chelan started selling T-shirts and memorabilia. Some skiers in the valley are dreaming of a world class ski area, but these days the odds seem slim that there will ever be a formal ski area on Stormy Mountain. However, as I have discovered each time I venture up Stormy, it truly is a fantastic place. It’s also not a bad place to ski. 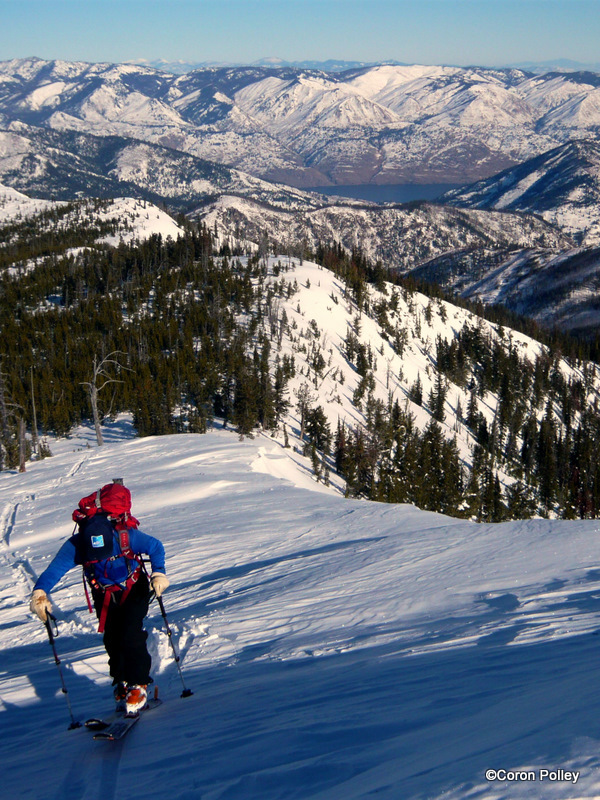 I have skied several lines off the summit of Stormy’s north side in past years. Always in late winter or early spring and always with the snowmobile getting me within a few miles of the mountain because the snowed-over road from 25 Mile Creek Sno-Park to Windy Camp (less than a couple miles from the summit of Stormy) is 18 long miles. There’s more than one way to skin Stormy. Tom Janisch on an approach from the Entiat River Valley. Recently I tried a different approach. On a Saturday morning Tom Janisch and I met in Entiat at the reasonable time of 6:30 a.m. We were on the snow skinning up the Preston Creek Road a little after 7:00 and breaking trail up a long and gentle ridge toward Stormy with the early morning sun on our shoulders not much more than an hour later. 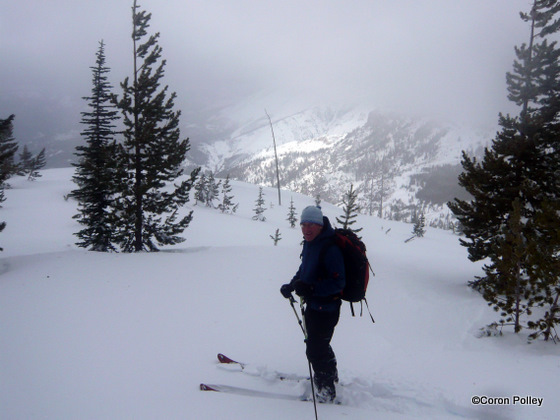 Stormy’s summit was in view and there were a few inches of new light snow on a firm crust. We were enjoying a tour in a new area with fresh scenery. Some high clouds were above us, but it looked like it was going to be a nice day. 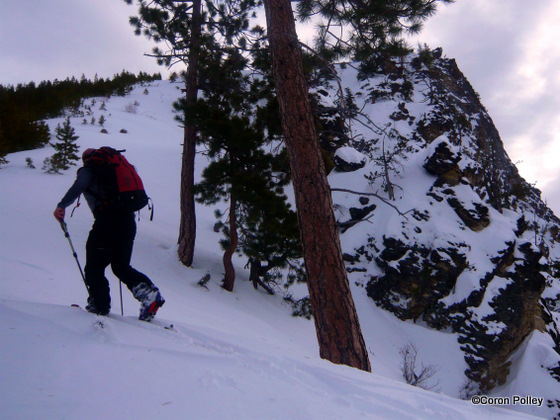 We traveled quickly up a ridge system that was made for skinning. With the exception of a few steeper spots this ridge just climbs easily and steadily to where it meets the main summit ridge. The terrain of Devil’s Backbone and Fourmile Ridge are always in your periphery and provide a wonderful backdrop as you climb. When you stop to see how far you have come, you really appreciate the view back across the Entiat Valley. 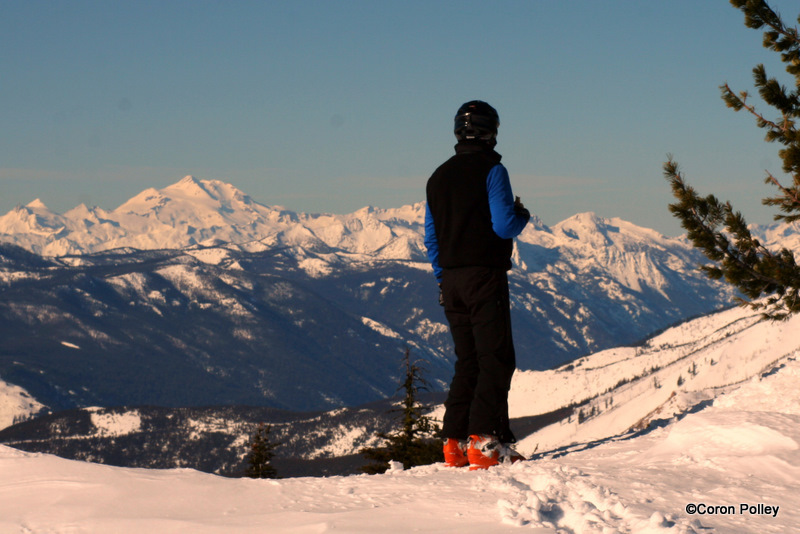 Tyee Ridge and its Lookout perched atop the crest can be seen at each turn of your head. About halfway up we could still see the top of Stormy without a cloud around it. We dipped into a low spot on the ridge, the grade increased and as we crested the next knob Stormy was lost in a cloud bank. A mile later it began to snow. 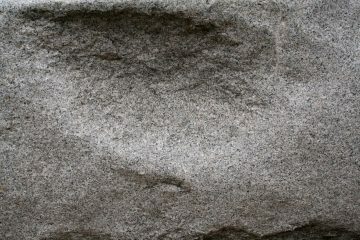 Tom chuckled, and said something about climbing Stormy on a sunny day not being any fun. Stormy is so named for a reason — we never saw the top the rest of the day, even when we were standing on it. Hmmm. Where did that peak go? We traveled steadily into the clouds, wind, and snow. Just after noon, we reached the wide open cap of Stormy Mountain to enjoy views of about 20 feet in every direction. Was this the vista that developers of old once hoped to collect high-priced lift tickets for? Was this what would sell homes throughout the valley and turn Lake Chelan into a high-priced, year-around resort? As I enjoyed the howling wind, blowing snow, and poor visibility that always brings me back to the mountains for more, I contemplated this mountain. I thought about the economic growth that a ski area might have brought to Chelan. The reality is that Chelan would be a much different place in winter with a ski area just up the road from town. 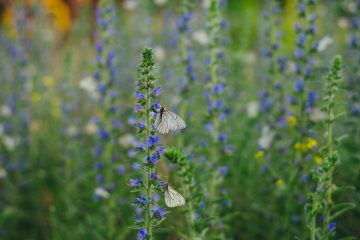 I thought about the property owners up First Creek and how the development may have drastically increased property values, but changed the peaceful little valley forever. The development would have helped some, hurt others, and I’m not sure where I would have stood in the battle. Photo: If this was to be the next Sun Valley, why was it called Stormy Mountain? Tom and I ripped skins, tightened boots,and started the descent off the gentle NW slope of Stormy Mountain. The snow off of the top was a little inconsistent and it was hard to get a good rhythm going. As we got out of the high winds, however, we found fun powder. 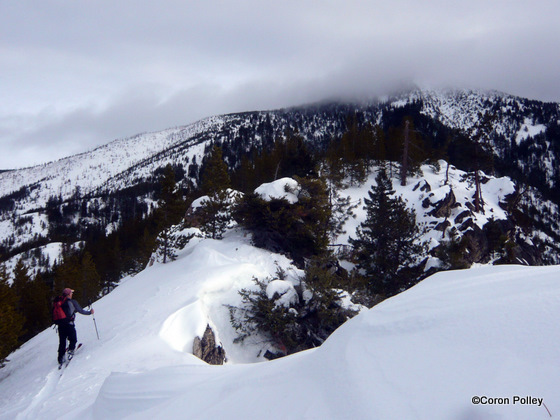 As we turned west toward the Entiat Valley, we again found more wind-buffed snow, but as we tucked in behind clumps of Alpine trees the skiing was fantastic. As we dropped elevation and found consistent protection, the powder just got more and more fun to ski. And when we reached the road system, it had been freshly packed by snowmobiles, making for a high-speed glide back to the car. 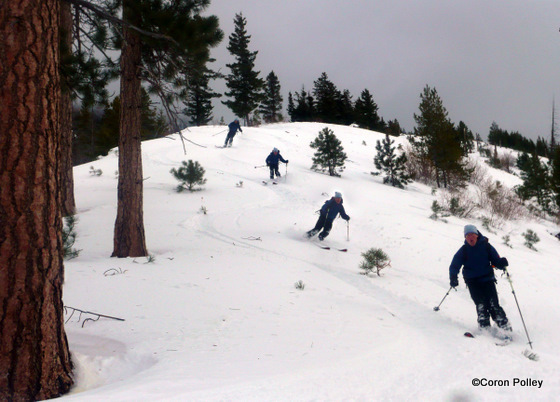 In total, we skied 5,500 vertical feet from summit to sagwagon. Stormy or sunny, it matters not: The skiing is still Funola. One week later, I again found myself on Stormy Mountain but I arrived via a different approach. My brother was in town and we were celebrating his birthday with a quick ski tour. Photo: Not a bad birthday present. We promised we would be home by early afternoon for a family gathering so snowmobiles carried us out of the deep, 25 Mile Creek drainage at daylight. It was a beautiful sunny day when we parked the snowmobiles on the drifted over road 4 miles shy of where we had intended to start for skiing. 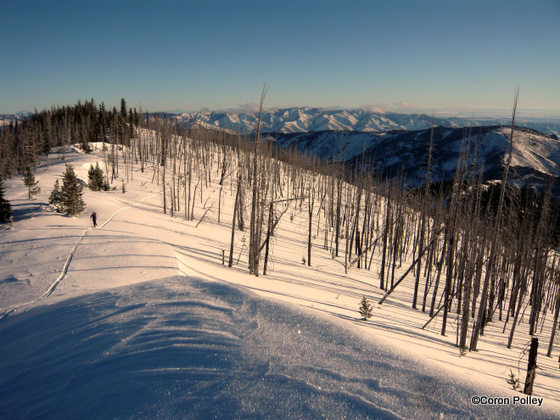 We took an indirect route to Stormy adding a 1300-foot ski off a sub summit through a northwest-facing forest burned in 1994. As we climbed out of the bottom of the drainage the sights improved, forests opened and the sun shone. The view from the top of Stormy was vast. 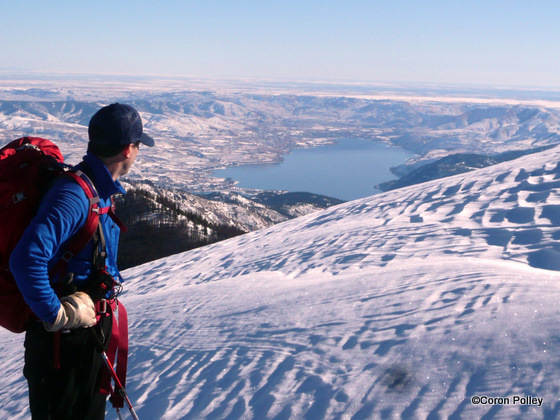 To the east, the Waterville Plateau and the lower portion of Lake Chelan Valley stretched out below us. The Stuart Range lay to our south, Glacier Peak to the west, and the Sawtooths to the north. This was definitely different than the week before. Without a doubt the views were better, but the mountain experience wasn’t better or worse — we were simply seeing the same mountain on a different day. After appreciating the mountain-top views it was powder time. Technically we were on the clock to please our family but it’s hard to be punctual on days like this — cold snow and sunshine are such wicked sirens. It was my brother’s birthday, however, and we were doing what he wanted. That gave us leverage in weathering the Stormy Mountain of home when we arrived a few hours late. As a kid I used to dream of ski runs and chairlifts on Stormy Mountain. As I’ve grown older, I have used fewer chairlifts and toured more. Sure, I still enjoy the mechanical assist, but there’s even more to be said for touring through the landscape under your own power. Whether you’re skinning uphill or turning downhill, skis are a such an elegant method of travel and can take you most anywhere you want to explore. These days I’ve come to realize that on Stormy, as anywhere, the lifts are entirely optional! Photo: A tolerable summit view. Looking east over Lake Chelan and the Waterville Plateau. Access: Drive the Entiat River Road 22.5 miles from US 97-Alt. to Preston Creek Road (starting elevation, 1770 feet). The county plows out a few parking spots at the intersection. No parking permit is required. 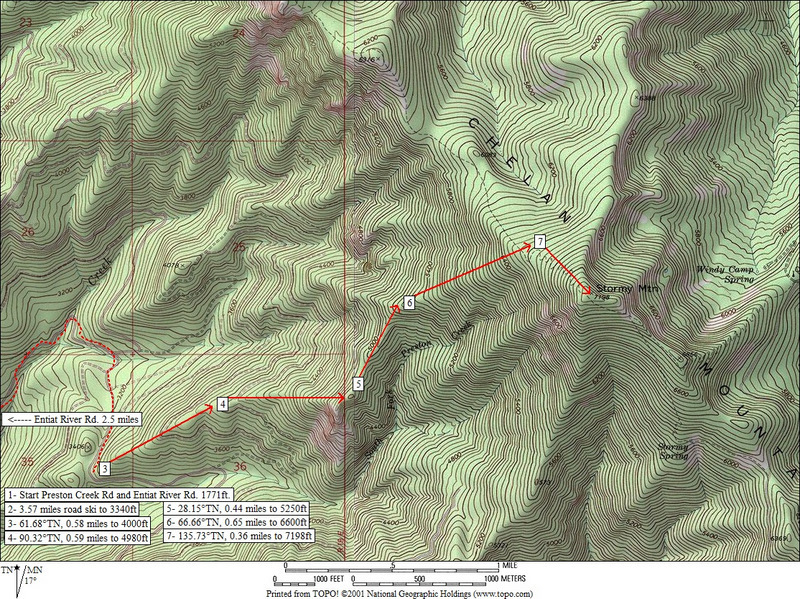 Trip instructions (ascent) : Print this topo map (below) of the area. It shows the route and has all the information needed to make the summit. Nordic skiing: There are miles of snowed-over roads in the area for Nordic skiing. 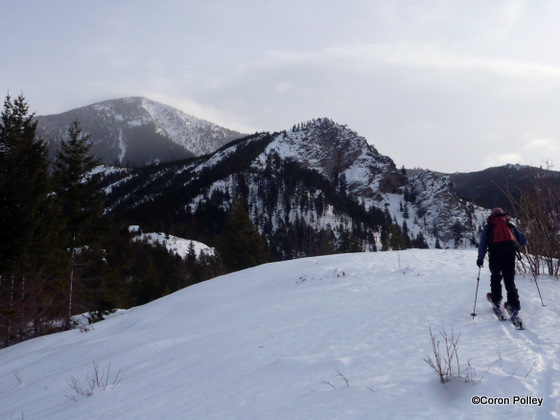 Snowshoeing: This route would be suitable for a long day on snowshoes. It could also be done in the spring on snowshoes once Preston Creek Road is drivable to to higher elevation for closer access to ridges. Descent: See topo map. We repeated the ascent route to climbing point 6 and then followed the northwestern ridge dowhnill to the very middle of section 25 on the map. Here, we contoured to the southwest to intersect the logging spur that feeds back into the Preston Creek Road. Snowmobiles: During the winter, the roads in this area get a fair amount of snowmobile use. If you plan to just tour the roads, weekdays might be a good choice.